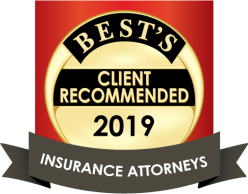 Cascone & Kluepfel, LLP is proud of our track record of success in all areas of liability defense. Select a categoy below to view some of our results. Summary Judgment Dismissal of Wrongful Death Labor Law Action. Plaintiff, a foreman employed by our client, third-party defendant, was in the process of dismantling a material/man hoist mast attached to the exterior of a 24 story building. During the dismantling plaintiff was struck in the back of the neck by a dislodged board of previously installed DenGlass (exterior sheeting product) from one story above. The worker sustained cervical injuries and underwent a cervical fusion and alleged a Traumatic Brain Injury. Plaintiff sued the owner, general contractor, and DensGlass installer. Our client was brought in as a third-party defendant by the owner and general contractor.